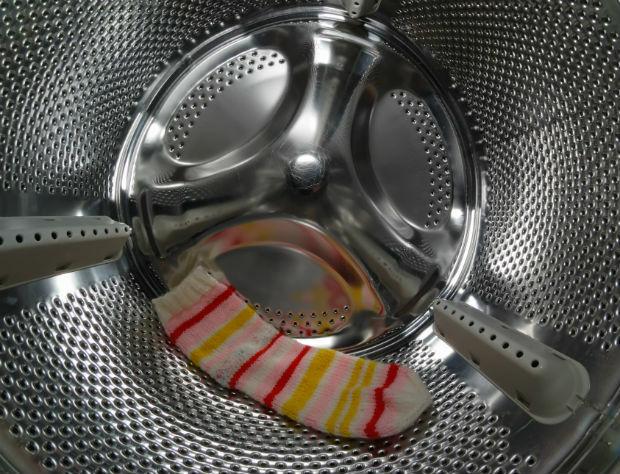 Can Washing Machines Really Eat Socks? Do enough laundry and eventually you’ll find yourself standing over a pile of clothes looking perplexed. Two red socks entered the wash. Like a fabric softener-scented Thunderdome, only one has emerged. Are you imagining things? Does a sock monster reside in your laundry room? Where do missing socks go? Mechanically speaking, it actually is possible for your washing machine to “eat” an errant sock. 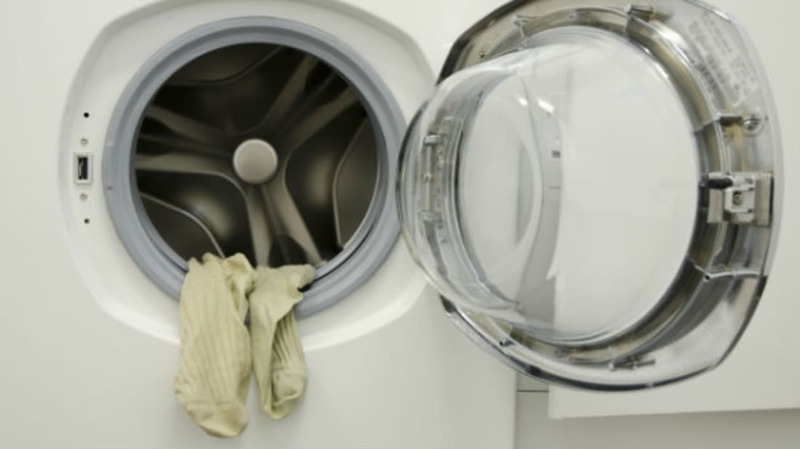 According to the Whirlpool Institute of Home Science, both top-loading and front-loading washers are capable of allowing a sock to exit the drum and get trapped in areas not normally visible or accessible to the user. For front loaders, it might get lodged just underneath the rubber water seal; for top loaders, the sock could sneak into the crevice between the inner and outer drums as a result of overloading the appliance, then get snagged in the water drain or pump. It’s also possible for socks to get stuck underneath a top-loader’s agitator. So, yes, your washer might be licking its metaphorical chops and eagerly devouring your freshly laundered socks before they're able to find safe harbor in the dryer. If they do make it to a dry cycle, socks can be victimized by static electricity, sticking to the inside of pant legs or other material and going unnoticed during the folding process. But there’s actually another component to missing hosiery, and it has nothing to do with mechanical error or static. The problem is your perception. Last spring, Samsung’s UK division commissioned psychologist Dr. Simon Moore and statistician Geoff Ellis to evaluate the epidemic of missing socks for an honest-to-goodness study [PDF] of the epidemic. According to Samsung, Brits lose an average 1.3 socks every month, or 15 a year. That’s 84 million abandoned socks each month, far too many for machines to masticate. So where do they go? According to Dr. Moore, who interviewed 24 consumers in person and polled an additional 2000 online, the disappearance of socks is a result of cognitive bias. “These are things that give you the illusion of doing something when you’re not,” Moore tells mental_floss. “As an example, we found a correlation between sock vanishings and the size of a household. The more people in the household, the greater diffusion of responsibility.” Someone charged with loading the washer will expect someone else to unload it properly; if they notice a sock missing, they might assume another family member will find it. The second predictor of sock misadventure is heuristics, the mental shortcuts for problem-solving. When a sock goes missing, Moore says, people tend to look only in the most obvious places before giving up. “The best way to find a sock would be to systematically turn things over, but we don’t. We’re lazy.” Instead of peering behind radiators or under beds, we accept the remaining sock as a singular entity, experience a brief grieving process, and go on with our lives. In the end, Moore believes that relatively few people who embrace the pleasure of domestic duties will continue to lament the loss of their socks and fall back on blaming an external reason—like a sock monster.